Learned that Quilters, one of Wellington’s venerable second hand bookstores, is to close. It will still operate online but only sell New Zealand books. Quilters used to be on Lambton Quay, not far from Parliament. It was a great place to pop into at lunchtime: the only drawback was I seldom left without spending anything from $ 30-50 and so I used to limit my visits to one per quarter, with an extra one around Christmas time. More recently it moved to Ghuznee St, and has been part of a semi-official second hand book quarter (see pic). Two or three years back, when I’d been ordered off work by some rather over-bearing medical bods, I spent a day ambling around this quarter. Bliss. I swear it was a lifesaver. Secondhand bookstores are a cornerstone of civilisation, in my, err, book. I actually dream about second hand bookshops. No exaggeration. Sometimes they are stores I have known: more frequently they are some sort of combination of every second hand book shop I have ever known, plus an idealisation of what one would be like. I like to think of this as a kind of premonition of a heavenly afterlife – especially the one which also comes with a well-stocked shelf of single malts. It certainly beats the hell out of any other theories of the afterlife I’ve heard about. The best second hand bookstores are organised, so you can find what you are after – but not too organised. An air of amiable, intelligent dishevelment should always be part of the mix. When I left home in ’82 and came to Wellington one of the things which grabbed me straight away was Wellington’s magnificent, rich and shambolic gumbo of second hand book stores. Most were in or around Cuba St: there were a couple where Olive Café is now; one upstairs at Silvio’s record store; a very messy one on the corner of Cuba and Ghuznee which was hardly ever open; and one on the corner of Victoria St just opposite where the library is now. I think it’s a place where you can buy honey, or new age health remedies crystals, or clothes or something equally unnecessary now. Auckland used to have some great second hand book stores and there are still some good ones: the Hard to Find, in Onehunga, comes tops. The one in Devonport whose name I can never recall is also pretty good: I’ve picked up some very good hard cover first editions of novels there. The only thing I have against it is it is a bit too clean, tidy and well-lit and aired – very North Shore, perhaps, but I’m always expecting it to suddenly fill with people wearing boatshoes, drinking Steinlager and talking about property prices. When I moved to Auckland in 1985 there was a good one at the top of Victoria St, about where the Sky City Tower is now, alongside Revival Records, which was one of the better second hand record stores in town. I won’t review them: Simon Grigg has done a far better job here and in any case he’s a kind of hip and groovy chap who can do that sort of thing: I’m in no way hip or groovy, more sort of wonky ankle and slightly pock-marked. Bloomsbury Books was one I used to spend a lot of time in: it had two things every decent, civilised second hand book store should have – a couple of comfortable armchairs and what was – for 1985 – decent coffee. It was at the end of Lorne St, a couple of doors along from Wellesley St. Last time I went past a sushi bar was there. There was also a great one upstairs in Elliot St: I remember walking out of there with a batch of books on political history and a 19th Century print of Disraeli, who is the only politician whose picture I’ve ever had on my wall (unless you count a wall chart of world leaders which came with a Look and Learn magazine when I was about seven). All these good stores were choosy. They probably had a few copies of ‘I’m OK You’re OK’, ‘Zen and the Art of Motorcycle Maintenance’ and ‘Colin Meads All Black’ because in those days every second hand book store had to have a few of these. I think there was a charter or something. Jasons, which is one of the few to have survived,had quite a number of these. Situated as it was in High St, in the back of Simple Cottage and just down the hill from Auckland Uni it also had a batch of more highbrow stuff. Bought my first copy of Burke’s Reflections on the Revolution in France there, and also picked up out of print two volume set of Schopenhauer’s The World as Will and Representation, which was quite a score at the time. Most second hand stores I recall were, and are, run by genial and intelligent, if often rather shy folk: not at all like the proprietor in best television depiction of a second hand book store, Bernard Black. ‘Black Books’ is magnificent and it gets the ambience of a second hand store almost right. In its cast of Dylan Moran, Bill Bailey and Tamsin Grigg it has three of the funniest performers of the past 20 years (and in Grigg, one of the finest actors). But Bernard is nothing like any second hand proprietor I’ve ever met. Manny, the Bill Bailey character, is more in line with most staff I’ve dealt with – except he’s a bit dim. The ones I’ve known might have been a bit unworldly, but in a highly intelligent way. 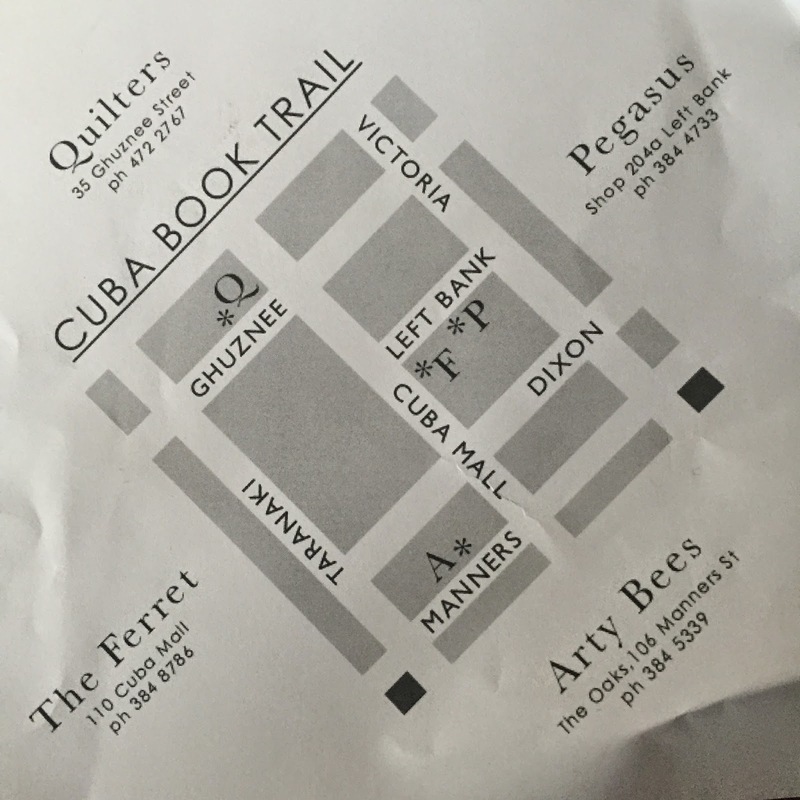 In Wellington these days the biggest second hand book shop is Arty Bees, on Manners St. Arty Bees used to be on Courtenay Place, a few doors down from the Paramount Theatre and a dash across the road from the Embassy and also at least two theatres. There used to be a number of second hand book stores on Courtenay Place in those days. Arty Bees survived by being smart and hard working: instead of shutting at the end of the day, as all the others used to, it would stay open and get the theatre traffic. Most evenings – especially the wet or cold ones – it would be full of people killing time between their café dinner and the start of whatever film or show they were going to see. They thrived. And I hope they continue to do so. As I say, these stores are oases of civilisation. Yes, one can get these books online. But browsing had a pre-computer meaning, a more full and rich meaning than that involving clicking a mouse or swiping a touch-screen. Definitely my idea of a satisfying afterlife! I especially like the ones you find which have coffee too. Life's two essentials close together. Arty Bees is one of our regular stops when we go to Wellington. Our kids love it too. It would be perfect if it had a coffee bar as well.